GWALIOR: Four persons who were arrested in a false case and sent to jail where they spent last 13 years would now be released. The MP High Court has ordered release after finding that the case of abduction against them was false. 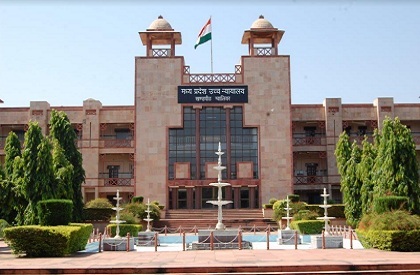 The Gwalior bench of High Court has also directed trial court to ensure registration of case and against four policemen and witnesses who implicated the four. A school student Vijay Kumar had been abducted from Antari locality in Gwalior. Dayaram, Kallu, Nawal Singh and Ram Ratan had been made accused in case and trial initiated against them. Trial court found the accused guilty on basis of police charge sheet and witnesses’ statements and sentenced them to jail. Later, the accused filed an appeal with a special bench of HC, alleging implication and when the court bench looked at the matter, it found a lot of loopholes in the police theory. Police hadn’t recovered Vijay’s school uniform or bag and had not sent the ransom letter for match with Vijay’s handwriting. There were also other loopholes in the matter. Court has directed trial against the policemen including the then inquiry officer Manoj Mishra, Surendra Singh Chouhan, SS Sikarwar and Ramesh Dande.